As developers we know for a fact that context switches are inefficient. This does not only apply to CPUs though, it’s also true for the coding process itself. Often times we start writing code we need to immerse ourselves into, that’s why developer tools try to support us with any little task that might distract us from writing the actual code. Xcode is a very good development environment in that it helps us app developers both with basic development tasks (like code completion, syntax highlighting, refactoring) and more complex tasks like defining device-agnostic UIs (Interface Builder) as well as several kinds of debugging and testing tools (View Hierarchy Debugger, UI / Performance Testing). Apple actually does provide tools to update Strings files, namely ibtool and the xcrun scripts genstrings and its successor extractLocStrings. You can experience them in field within Xcode when you add a language to an existing Strings file: Xcode will automatically use existing keys in a source language to prefill the new languages Strings file. You will also have noticed that when you first localize a Storyboard or XIB file, Xcode automatically adds all localizable Views (like UILabel) to the corresponding Strings files. But that's where Xcode's localization assistance stops: When you add a new label in a Storyboard for example, Xcode won't automatically add that to the Strings files. Xcode disappoints in this perspective and still hasn’t any viable solution. Fortunately, you don’t need to rely on Apple to fix these issues. The Swift developer community found their own ways to enhance Xcode’s features to improve their workflow. One such way is by providing command line tools and running them automatically on every build of your app. This approach needs some initial setup and configuration but turns out to be pretty easy once understood and very powerful in terms of possibilities. But this isn’t all BartyCrouch does for you. It also sorts the keys within your Strings files alphabetically to automatically group together keys that have the same prefix and to minimize merge conflicts. Also, BartyCrouch gives you the option to exclude specific views in Storyboards / XIBs from being localized at all. This is useful if you have labels whose values will be set in code programmatically and thus shouldn’t be translated. Simply add #bc-ignore! to the Comment for Localizer field within Interface Builder like described here. Make sure the build script is run before Compile Sources by reordering per drag & drop. Call NSLocalizedString with your localization key. Switch to the Localizable.strings file. Add a new key and provide an initial translation for the dev language. Repeat step 3 for all supported locales, keeping translations in other languages empty. Note that within the translations dictionary you can provide one or multiple initial translations. On the next build, BartyCrouch will not only add them to your Strings files to prevent you from needing to switch to them at all, but it will also automatically replace the BartyCrouch.translate call with the a call to NSLocalizedString. So the resulting code will still be original Foundation macros as you know them. An optional comment parameter can be provided as well, but isn't required like in NSLocalizedString. 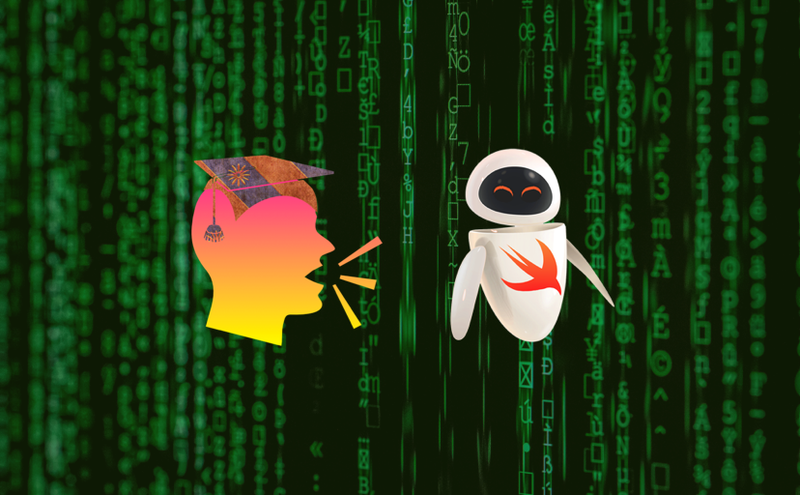 If you’re a responsible developer, you’re already using SwiftLint (or another code linter) to enforce code style and prevent some common mistakes in code. Swift provides many warnings and compiler checks itself, so you’re in pretty good hands regarding code. But did you know that there can be issues with translations as well? Multiple entries of the same key within a single Strings file. Empty values for keys in untested locales of your project. All the above features are turned on by default, so you don’t need to configure BartyCrouch at all to use them (just don’t forget the option -x in the build script to make sure warnings are shown in Xcode). You can completely customize BartyCrouch using a configuration file — I recommend using one at any rate to optimize BartyCrouch’s performance. You will definitely need one if your development language isn’t English as that’s the default language. The README has a good step-by-step configuration section, so I won’t repeat that here. Go check it out. Remember how Android Studio deals better with resource access than Xcode by providing compile time checks and autocompletion? Well, SwiftGen fixes that. It automatically searches your project for any specified type of resources and generates a Swift file containing an enum with all your resources names. This way you both get compile-time checks and autocompletion when accessing them. For the purpose of this article, we will only generate an enum for localization strings, refer to the README to use more options like statically referencing images, colors and Storyboards. To configure SwiftGen, we first need to create an empty Strings.swift file in our project. The contents of this file will be automatically replaced by SwiftGen, so it might be a good idea to place it separately from other code, for example within Resources/Generated. Next, make sure the SwiftGen build script runs right after BartyCrouch. After building your project the first time, you will from now on be able to replace calls to NSLocalizedString with calls to the generated enum L10n (which is short for Localization but without the 10 characters between the beginning L and end n). Note that SwiftGen will automatically split your localization keys by . and use - or _ for camelCasing. Thus, using keys like ONBOARDING.PAGE_ONE.TITLE or onboarding.page-one.title will both be usable via a call to L10n.Onboarding.PageOne.title. Simply change the configuration option transformer within the .bartycrouch.toml file in the section [update.transform] from foundation to swiftgenStructured. This will make sure that instead of NSLocalizedString from Foundation, BartyCrouch will transform the BartyCrouch.translate to a call to SwiftGen's L10n directly. Call BartyCrouch.translate with your localization key and one or multiple translations. Build your project (you can do multiple step 1’s before doing this). Since you will do step 2 at some point anyways, it’s practically only a one-step process now. By configuring BartyCrouch and SwiftGen for your project, you can streamline your localization workflow in Xcode, making it both less distracting for developers and safer in terms of preventing translation issues at the same time. This saves time and nerves.